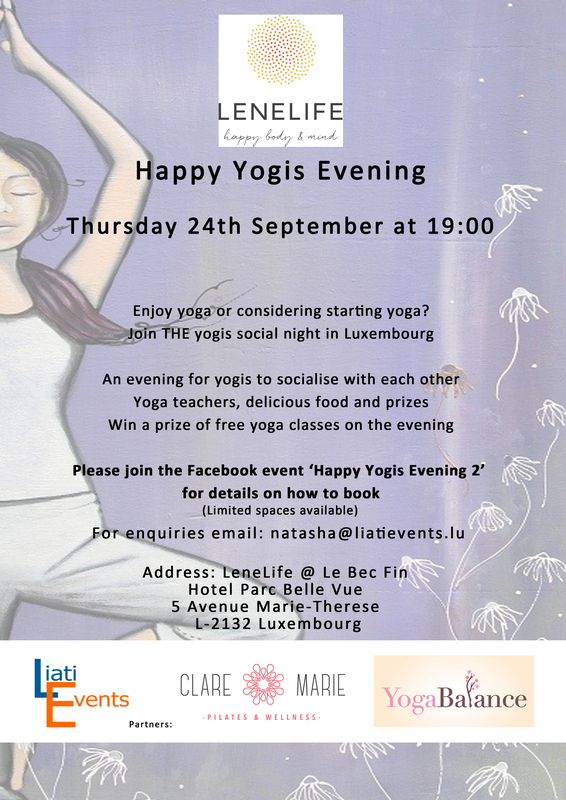 You are here: Home / In Luxembourg / Happy Yogis! “I am really pleased to be working with LeneLife for this next event. Their menu is absolutely delicious and I was pleased to find out that they cater specifically for those who have gluten and lactose intolerances”, says Natasha from Liati Events, the organiser of the event. you´re just looking for a fun evening! On top of a delicious meal, some lucky winners will walk away with free yoga classes.